‘Degas/Cassatt’ opens this week at the National Gallery of Art Washington. The exhibition explores the working relationship between the two artists, with close attention to their developing techniques. The exhibition curator, Kimberly A. Jones, told us more. This exhibition is the first to explore in depth the vibrant and complex artistic relationship between Edgar Degas and Mary Cassatt. Although the two have been associated since Cassatt made her debut with the impressionists at Degas’s behest in 1879, the exact nature of their relationship has remained speculative. Focusing on their work from the late 1870s through the mid 1880s, when the two artists worked closely together, this exhibition seeks to illuminate the ways in which they inspired and influenced one another. Despite obvious differences in gender and nationality, it becomes clear that theirs was a true artistic dialogue grounded in commonalties and subtle variations. What sets this exhibition apart from so many others is the emphasis that is placed upon artistic processes and materials. Approaching these two artists first and foremost in terms of their technique rather than subject matter or biography is unusual. 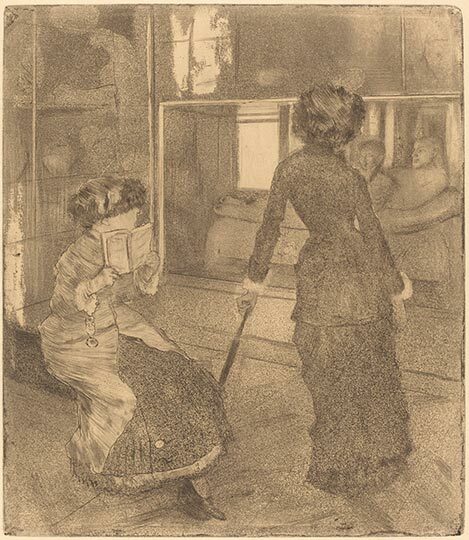 However, in the absence of other documentation such as personal correspondence and eyewitness accounts, the works of art produced by Degas and Cassatt are the most valuable and arguably the only verifiable evidence that remains of their method and their artistic dialogue. We weren’t entirely sure what would emerge from our study when we started, but the results exceeded our expectations. And there is still much yet to learn. I’d been thinking about this subject for several years. It seemed ideal, given the National Gallery’s extensive holdings of works by both artists. The real clincher, however, was the presence of Cassatt’s painting, Little Girl in a Blue Armchair. 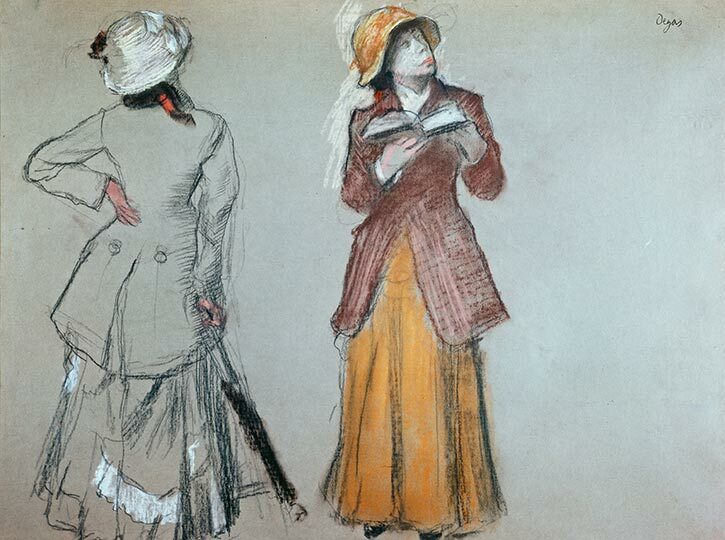 We know from a letter that Cassatt wrote late in life that Degas worked on this painting. Ann Hoenigswald, our senior conservator of paintings, and my collaborator throughout this project, cleaned the painting and together we set out to see if we could identify Degas’s contribution to this painting. This treatment and the subsequent analysis gave us a better understanding of the two artists’ interaction, which in turn helped to shape the exhibition. The Little Girl in a Blue Armchair, obviously, but also the room devoted to the subject of Mary Cassatt at the Louvre. 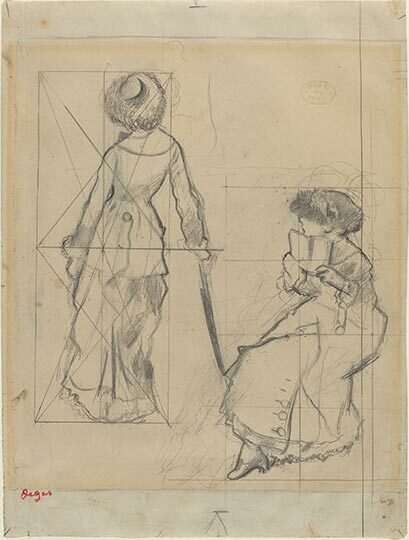 For the exhibition, we were able to amass the largest and most comprehensive group of works on this theme ever assembled and it is fascinating to see how Degas explored this particular subject in a variety of media, ranging from drawings and prints to pastels and paintings. The relationship between these works is difficult to decipher, so to have the opportunity to bring them all together is particularly exciting. It’s almost an exhibition within the exhibition. Cassatt was the real revelation. She’s so well known for her images of mothers and children that they have largely eclipsed the rest of her artistic production. However, once we began to look more closely at her work from the late 1870s and 1880s, a very different side of Cassatt began to emerge. She proved to be more daring and innovative than we’d initially realised or has been acknowledged previously. While we’re accustomed to thinking of Degas as an artist who pushes the envelope and takes risks, it was a real surprise to see that Cassatt could be equally adventurous. The condition of the works of art themselves was a real obstacle. Because this exhibition focuses on issues related to process and the two artists’ shared interest in experimentation, we needed to be able to include works executed in pastel, mixed and unconventional materials, all of which can be very sensitive. By working closely with conservators, both at the National Gallery and with lending institutions, we were able to obtain some loans that might otherwise have remained out of reach. It was a lengthy process in some cases, but we learned even more about the objects as a result. The biggest challenge is definitely lighting. Works on paper (drawings, prints and pastels), are included in every room of the exhibition and in some cases share wall space with paintings. Because they are light sensitive, they must be displayed at lower light levels. It can be difficult to accommodate the particular needs of such works without compromising the appearance of the paintings, which are best viewed under greater illumination. We have a very talented design team who were able to strike the perfect balance between the two. It is so seamlessly done, visitors to the exhibition won’t even notice the variation in lighting. We were incredibly fortunate to obtain almost everything we requested, but there were some works that were simply too fragile to travel. 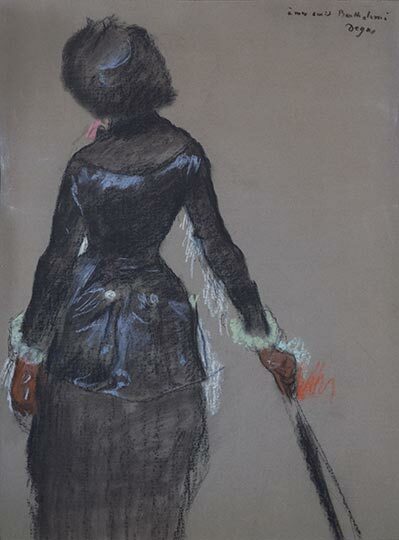 In particular, there are two pastels by Degas of millinery shops for which Cassatt served as the model that would have been marvellous additions (there is a portrait study for one of them in the exhibition). My greatest regret is the absence of Cassatt’s In the Loge, a pastel with accents in metallic paint, which she exhibited in the 1879 impressionist exhibition and later gave to Degas. It’s an exquisite piece, but tragically, it is extremely fragile. 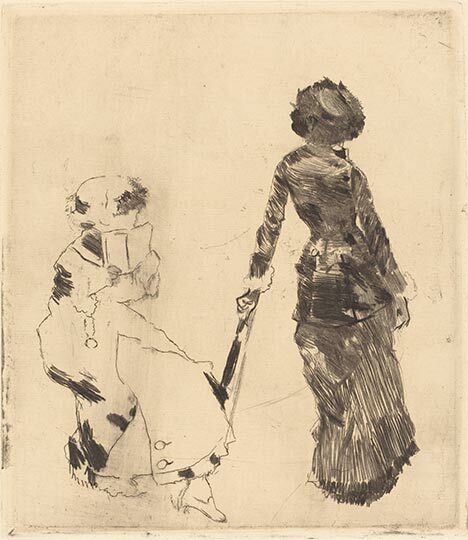 ‘Degas/Cassatt’ is at the National Gallery of Art, Washington DC, from 11 May–5 October.